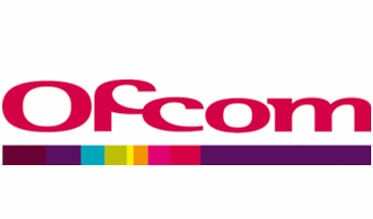 Ofcom has extend the trial licences of the ten small-scale DAB multiplexes until 31 March 2020. By extending the trial period, around 150 radio services will continue to be available to listeners in the test areas. The trial extension will allow Ofcom to continue gathering useful information to help inform a new, formal framework for licensing small-scale DAB multiplexes across the UK, which is currently in development. Ofcom expects that interested parties, including the current trial licensees as well as those not taking part, will have the opportunity to apply for such licences under the new framework in 2019. Multiplexes are on-air in Bristol, Manchester, Portsmouth, London, Cambridge, Aldershot, Brighton & Hove, Norfolk, Glasgow and Birmingham. David Duffy from Niocast, who runs the small-scale DAB/DAB+ trial in Manchester, commented: “Niocast welcomes Ofcom’s extension of the small scale DAB/DAB+ trial to March 2020 which provides our service providers in Manchester and their loyal audiences with a level of continuity. At the same time, we understand the frustration of the many stations around the country eager to pursue a digital pathway and those who, like us, want to facilitate that by operating small-scale multiplexes. Ten trial licences were awarded in 2015 to parties in different areas who wanted to operate a small-scale DAB multiplex. The trial multiplexes cover a relatively small geographical area compared to local and national DAB multiplexes. The small-scale DAB trials keep costs low by making use of relatively inexpensive transmission equipment and the freely available ‘open-source’ software. They were extended for a further two years after the initial nine month trial.